Take a blank piece of paper. Crunch it up into a ball. Now straighten it out and pencil the lines where each of the creases were created. ​This activity can be used to open discussion about bullying, but it can also be the beginning of powerful storytelling. The blank paper represents a fresh day, a new beginning, a new school year. But each word or action that harms or hurts another is represented by the creases and lines. They cannot be removed or erased, merely smoothed over. But when we create a colourful collage, collaborating and sharing, the lines fade into the background and the colours become a vibrant canvas to represent a new relationship. Colour can also shape a story. It plays an important part in establishing mood, creating context, and adding depth to a story. Subtle shifts in colour can indicate a change in plot or action. Colour connects ideas and shapes relationships in stories. In digital spaces, colour is determined by HEX CODE or RGB numbers. You can read more about the impact of colour on my blog post - Colour: One Word for 2016. Playing with HEX CODE - here is a link that will help you play with popular colours, colour palettes, and colour schemes. This may spark your creativity with colour. Playing with the colour wheel - here is a link where you can play with the combinations on a colour wheel, looking at contrast, intensity, proportion, dominance, shades, tints, and use a palette picker. How can COLOUR shape YOUR story? Sharing your story with your students can colour your relationship and shape the context for your teaching. Read this Edutopia article by Beth Pandolpho - The Power of Sharing Your Story with Students. (January 24, 2018). Make connections to your upcoming story production. "Fostering a keen sense of inquiry is crucial if students are to analyse media effectively and participate in production activities. When students investigate or create media messages and products that are interesting and relevant to them, they ask questions, seek information, and reflect on their learning. Reflection can then lead to constructive action as a consequence of students’ new awareness. Fold a page into 3 columns. Put these titles at the top of each column - Topic, Genre, Theme. List up to TEN topics, genres, and themes for your story. As a way to be open to the opportunities, randomly number your lists. Then ask THREE classmates to 'pick a number'. Once you have THREE numbers selected randomly by classmates from other groups, you can begin to create a 'story' that would fit the topic, genre, and theme. Your story should have no less than 5 sentences, but no more than 10. Be prepared to share your story. Your Inner Super-Hero - This open source site provides an array of superhero characters with backstory details to give the characters life. Try picking one and combining it with an arch-enemy to create a compelling short story. Remember that your story and your experience with storytelling will be uniquely your own. You can share this storytelling journey with others in the class, but the process and product will reflect your own technical knowledge, pedagogical knowledge and content knowledge. Focus your story on something that fits comfortably in each area. What themes, images, colours and sounds are shaping the beginnings of your own digital story. What cultural contexts will spark your writing? As you begin your own digital storytelling task, you will need to consider the following issues. When examining the place for digital storytelling in the classroom, teachers need to consider and plan around issues of ethics, safety and security. Explore these issues in the context of digital storytelling for both personal and professional purposes. Valuing Diversity: A Framework for Equity and Inclusive Education in the Curriculum, 2011. St. Clair Catholic District School Board and York Catholic District School Board. Policy Program Memorandum No. 157, June 13, 2013. Use of Copyright-protected works for education. 3. Cyber Security deals with the physical protection of hardware and software, unauthorized access, public or private communications and issues with jurisdictional laws. As you consider the application of digital storytelling, there are three complex forms of knowledge that you will engage, for yourself and your students. 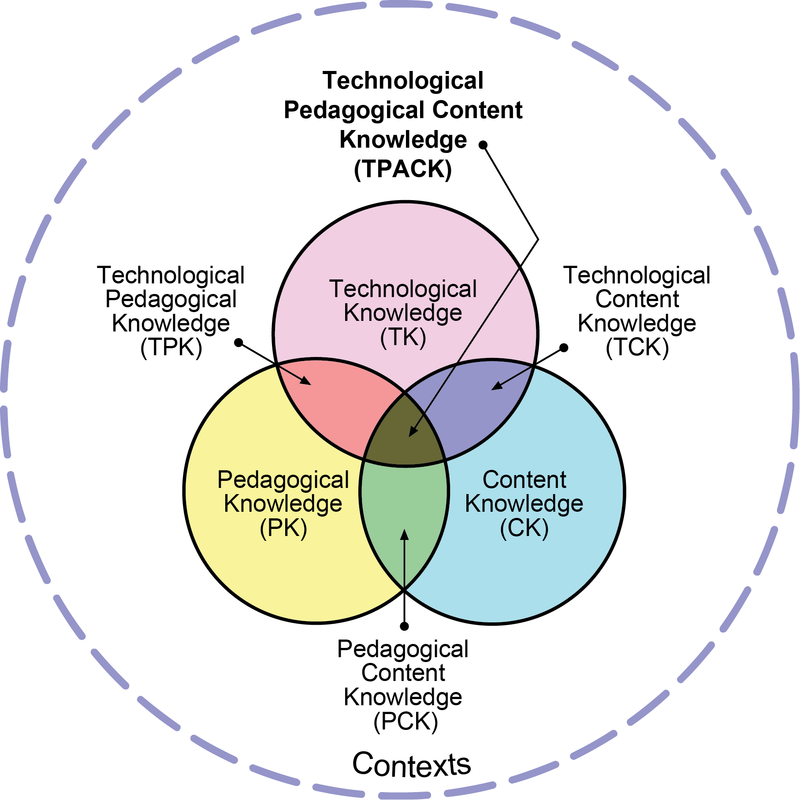 Technical, pedagogical and content will intersect in unique ways for each of you as you endeavour to create your digital story. 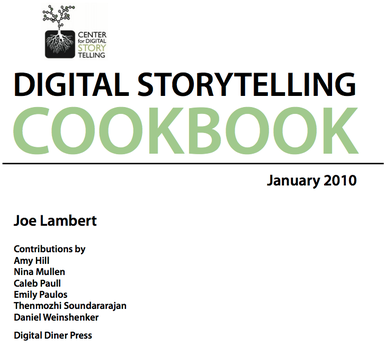 Additional Resources for your digital story telling inquiry. 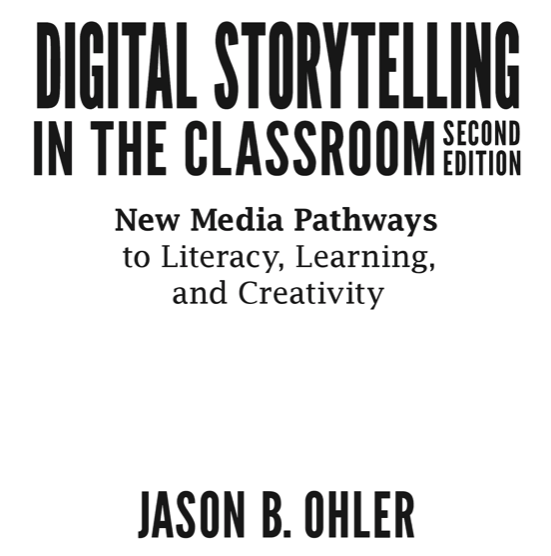 Chapters in this resource include seven steps to digital storytelling, approaches to scripting, storyboarding, and digitizing story elements. The first chapter examines where to find stories in our lives. Click on the image to link to the online pdf file. You will begin brainstorming a story map and then producing a storyboard for the digital story you would like to produce for the DS assignment. Your story map will be done in Mindomo. You can begin thinking about the key elements, components, characters, actions, sequence and setting for your digital story. You can begin to lay out the actions, sequence, camera angles, transitions, sounds, images and actions that will be incorporated into your digital story. ​As you begin to explore your digital story ideas, you will apply digital and web 2.0 tools to the creation of your story map and your storyboard. each frame/slide will include a draft of the directions for content (image, sound, movement) and some ideas for how you would like to create the transitions, camera angle, and/or pan/zoom motion. Consider this: both of these tasks will be completed and you will receive feedback before moving forward toward your final submission of your digital story. This will be done as part of the digital storytelling process. 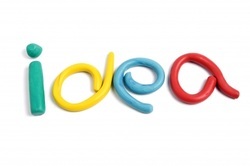 This will allow you to focus on getting your ideas down in some form. Both the storymap and storyboard are NOT SET IN STONE. They are subject to dramatic shifts as you continue working toward the finished product. Do not feel that this is an end product - it is only the beginning of your digital storytelling experience.